The photos show lines of flames as they consumed tussock and scrubland near Waipiata-Kokonga Rd road. 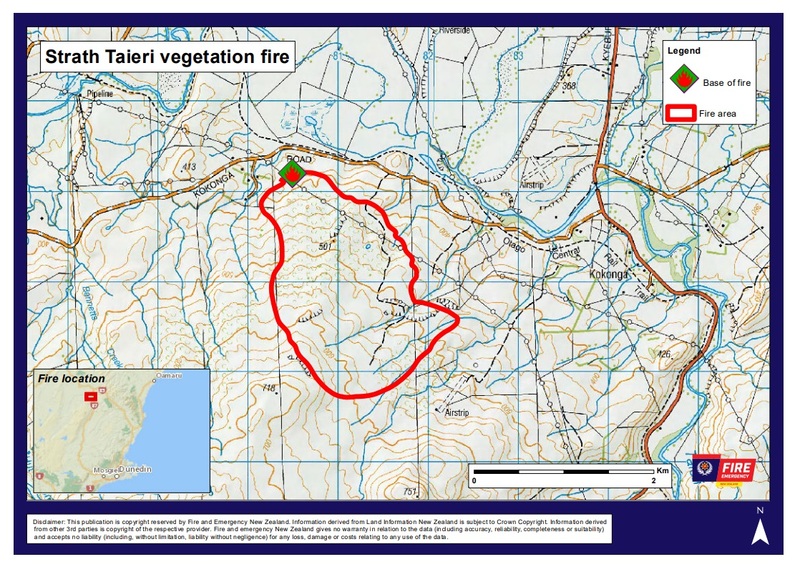 However, Fire and Emergency New Zealand (Fenz) spokeswoman Zelda Jordan said around mid-afternoon on Thursday the fire was now well-contained within the perimeter line and crews were in the "mopping up" phase. The fire, which began yesterday and was believed to have been caused by lightning strikes, spread across some 300ha, buffeted by strong winds today. Sixty ground crew in total, including 24 firefighters, and eight helicopters were tackling the blaze at its height. Fifteen residents had to be evacuated.